Classic songs recorded for the enigmatic Decca Records label, # 60.492, made in 1950. I believe this is a European-produced record, probably France. Extremely rare find in general, UNBELIEVABLY RARE to find this record in the US! With the original sleeve, too! THIS IS A 78 RPM 10" record in phenomenal condition - an 8.5 out of 10! Record has been listened to for quality - See detailed description below. La Vie En Rose - 8.25/10 - Slight crackle throughout but still very clear! C'est Si Bon - 8.75/10 - Basically the same as above but even slightly better. 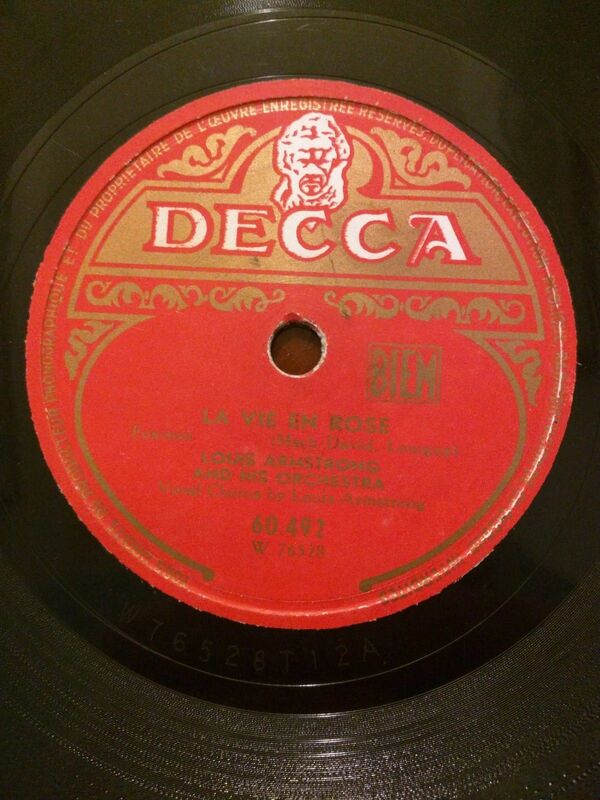 I will be listing more rare and foreign 78s in the coming days - stay tuned. Shipping discount on multiple items! Contact me to make an offer on multiple records! Contact me if you don't see the shipping option you want please. I will combine shipping on pretty much anything for a discount. Also please see checkout instructions. I SHIP VERY QUICKLY. Thanks for looking and good luck bidding! Again please also check out my other items -- Collectibles, ART & ART BOOKS, camera items, matchbooks, sports, ANTIQUARIAN books & magazines, clothes, shoes and other fashion items, electronics, other print memorabilia and you never know what else! Feel free contact me if you want to see more photos or if you have any questions.